Kama Ayurveda Vanilla Lip Balm - Good Buy? 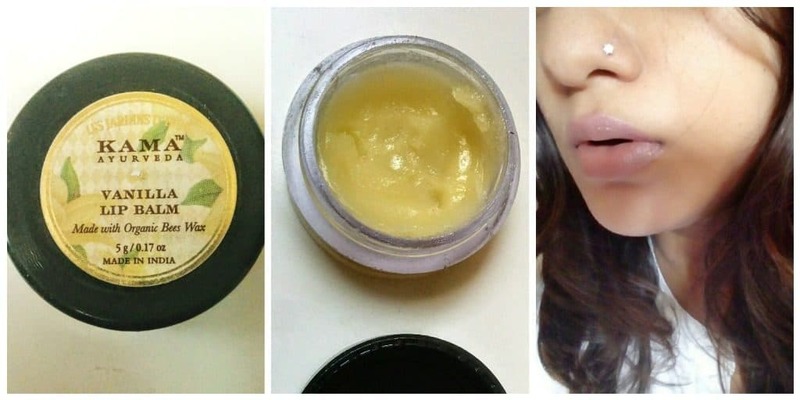 Home ReviewsBeauty Kama Ayurveda Vanilla Lip Balm – Good Buy? Kama Ayurveda Vanilla Lip Balm – Good Buy? Who is it for? This product which promises to combine the advantages of natural vanilla beans, coconut, and castor oil, organic almonds claims to keep cracked lips smooth, moisturized and healthy…. Kama Ayurveda Vanilla Lip Balm for anyone who is looking for a natural solution for chapped and dry lips. Dip a finger in the tub or use an applicator (none is provided though) and then apply the product to your lips. This lip balm comes with a cute mini tub like the packaging which is travel-friendly. The box is a typical Kama Ayurveda floral embossed beige paper box. This is the best part…the fragrance is deep rich vanilla. I am tempted to lick off the entire product. It’s neither cloyingly sweet nor artificial. The lip balm will stay put for 5 hours or more if you don’t munch on anything. I will suggest … keep an eye on this one….grab it during sale times. I have used a couple of Kama Ayurveda products before and they have always performed wonderfully. This one is a rather excellent product that completely serves the purpose of a lip balm. However, there are other more affordable lip balms ….natural lip balms on the market so if the price is a consideration then you might want to skip this. Other than that this is 4.5/5 product…the only disadvantage being the lack of a spatula/ applicator and the tub packaging. Kama Ayurveda Kumkumadi Brightening Scrub – Hot or Not? Kama Ayurveda Vetiver Water to Refresh! A bit costly for a lip moisturizer but natural formula..